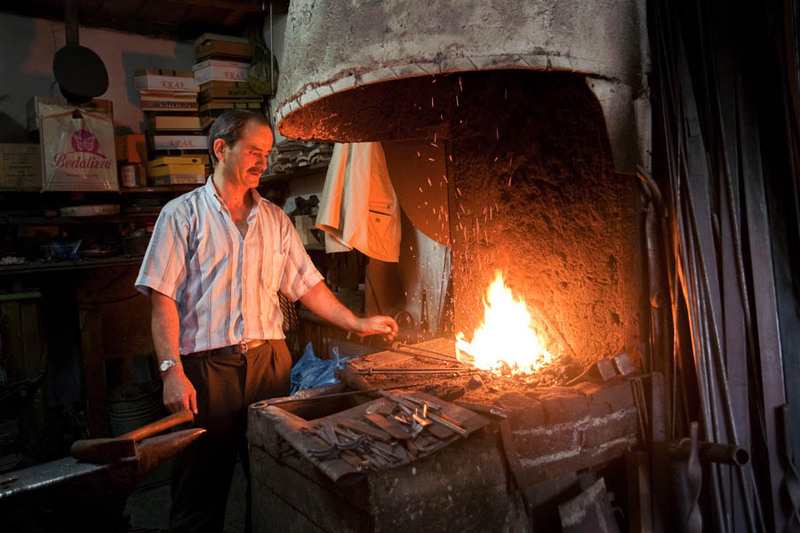 A really nice guy that showed us how he did his work creating old style piece of metal such as door handles, lockers and other equipments required for restauration works in Safranbou. At the end of the demo, he gave me a red glowing piece of steel, a hammer and he asked me to shape a nail on the anvil. Seems a silly job but I found it pretty hard especially to get a decent result and a nail with a round head. A great moment of the day.